Over a third of new teachers are career changers, meaning they started teaching as a second career. If you are interested in how to become a teacher, read on! There is a lot to learn about what questions to ask and how to get started. In this post, we are going to try to give some ideas for where to start your research, as well as what you should do and what you should avoid as you try on the idea of becoming a teacher. So you think you want to become a teacher? Maybe the idea has always been in the back of your head. You like kids, you think you’d be good at it, you want a schedule that matches your kids’ schedule…whatever the reason, this idea has been in your head long enough that you really want to know more about how you could become a teacher. (Full Disclosure: we offer online teacher certification, so we have a very strong suggestion for where you could start training to become a teacher, but we promise to lay out more ideas than just our own program). What subject do I want to teach? What grade do I want to teach? Plenty of people love the idea of teaching little kids. But before you commit to a certain grade (and thus a certain age range), it’s a good idea to make sure you like the developmental quirks of that age as much a you think you do. You might think first grade looks adorable, but don’t actually like the heavy nurturing, repetitive side of working with younger kids. On the other side, you might like the idea of teaching a subject to high-schoolers, only to discover that middle school is totally where you want to be. Side Note: Middle schools get a lot of flack for being a ‘tough’ age to teach. Spoiler alert- every grade is ‘tough’ for its own reason. Every grade is wonderful for its own reasons. Learn what you want to tolerate before you get certified to teach a grade. Don’t try to answer the above questions without field-testing them. Take it from us- start with substitute teaching. 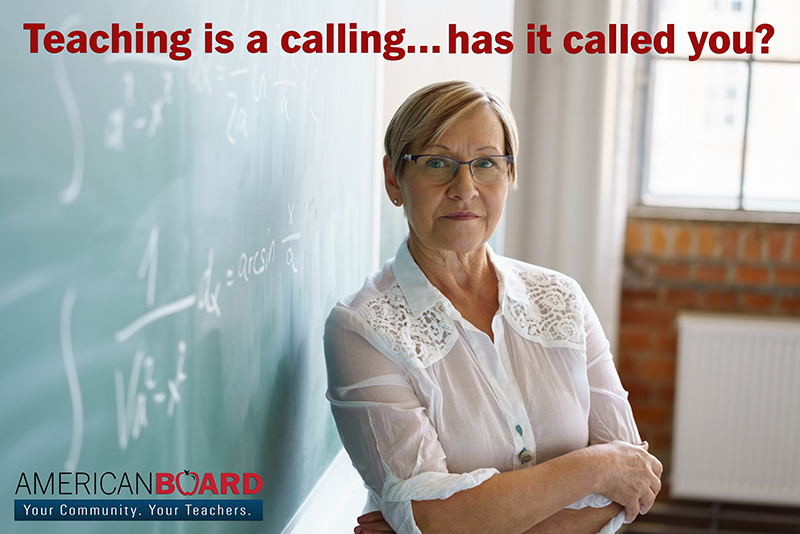 Call your local school district and find out what it takes to become a substitute teacher. You usually don’t have to be certified. If you have the flexibility to take a few months to substitute full time, DO IT! Try to sub for every grade you can. Get a feel for what the state curriculum is for that grade. If you love 9th graders, but hate teaching World History, that’s going to be an issue. If you love Biology, but don’t want to teach 10th graders (or whatever grade level is assigned biology in your state), figure that out now. You’ve probably heard the word ‘curriculum’ before, and think you have a general idea of what it means. It’s one of several key terms in education that is frequently misunderstood by the general public. If you’re looking to become a teacher, you need to understand how standards will affect every single day of your teaching career. Curriculum: typically refers to the knowledge and skills students are expected to learn, which includes the learning standards or learning objectives they are expected to meet; the units and lessons that teachers teach; the assignments and projects given to students; the books, materials, videos, presentations, and readings used in a course; and the tests, assessments, and other methods used to evaluate student learning. An individual teacher’s curriculum, for example, would be the specific learning standards, lessons, assignments, and materials used to organize and teach a particular course. The Department of Education in every state has an assigned curriculum for every grade and every subject. You are required to teach a specific set of standards (what students should know and be able to do at each level) for every grade. Find out what those are for your state (or the state where you want to teach) and, as crazy as this might sound, see if they speak to you. By that I mean do you care about teaching these ideas? Many of us don’t have the flexibility to leave our jobs to try substitute teaching- and that’s okay. Start by reading blogs. Teacher blogs are everywhere. Find a well written one (we will have some suggestions in a future post) and follow it. Look especially for a blog written by a teacher who is teaching what you think you want to teach. Check out the Department of Education site for your state. Read on what the curriculum is for the grade you want to teach. Call your local school district to ask if the subject area/grade level you want to teach is experiencing a shortage. You are more likely to find a teaching job if the area is understaffed. You are more likely to find a job teaching history or science than art. There are several ways to get certified to teach, and not all of them involve going back to school for two years (or more) or taking out loans. Your state Department of Education should have a list on its website of types of teacher certification that are accepted in your state. See what your options are and what might fit with your lifestyle. Distance learning/online certification options might work best for people who have financial obligations they can’t walk away from (my mortgage ain’t gonna pay itself!). Read the reviews on the program- good and bad. There is a lot that comes with the decision to start a career as a teacher. It’s important as you get started to ask yourself some serious questions about what you want to do and how serious you are. Teaching is a career that affects thousands of families. Teaching is intense and wonderful and challenging and rewarding in ways that can’t be described. You will always find someone with a harsh opinion of teaching/teachers/education. But do your own homework here and decided if becoming a teacher is what you want to do. If it is your calling, then buckle down and figure out what your next step is. Check back in here for more tips on how to get started with a career in education. We have more posts coming about what you need to know to get started.